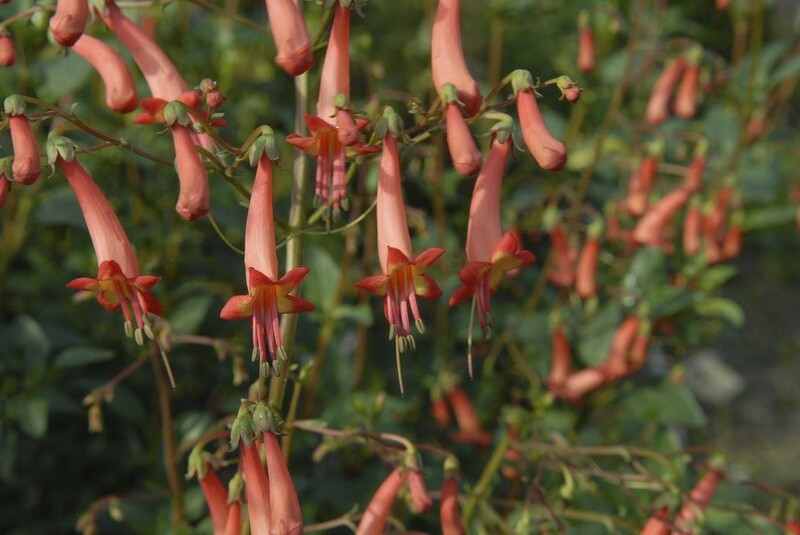 Phygelius x rectus 'Salmon Leap', also known as Cape Figwort, is a smaller, more compact growing variety of Phygelius than the popular red blooming ''Devils' Tears''. ''Salmon Leap'' reaches around 50-60cms (20-24'') with wonderful salmon coloured trumpets on tall spikes. It will form a neat semi-evergreen sub-shrub for the herbaceous border, easy going, and simple to care for. Supplied in approx 3 litre containers.